Jake’s quick on the ball, with the spirit to match. He dreams of becoming a professional footballer – even though some people say he’s too short. And when he wins a precious place at the Football Academy, Jake can’t wait to pull on his shirt and join the team! But someone at the club wants to make his life difficult. Can Jake face up to the bullies and become man of the match again? 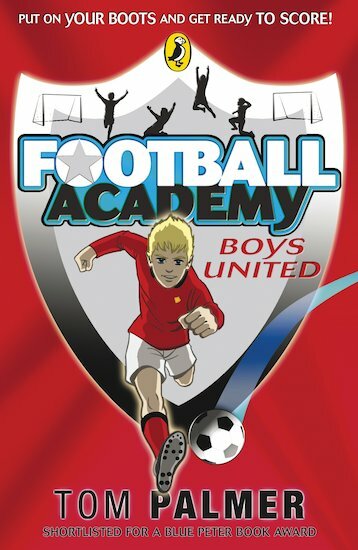 Learn what makes a great game at the Football Academy, where the perfect ball is just a shot away. 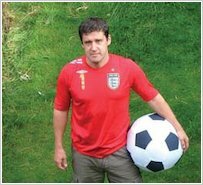 As well as being a huge football fan, Tom Palmer has an international reputation in reader development. He is a coordinator of the Reading Partners consortium, works with The Reading Agency, Booktrust and the National Literacy Trust, and has been the official writer for the Premier League Reading Stars scheme for five years. He also teaches annually for the Arvon Foundation, and has travelled around the world to train librarians and teachers in techniques to encourage boys to read. Tom is the author of the Foul Play football books. I loved it because I am a City fan and I want to take up football when I’m older. I don’t care if I’m a girl, this book is pretty cool.